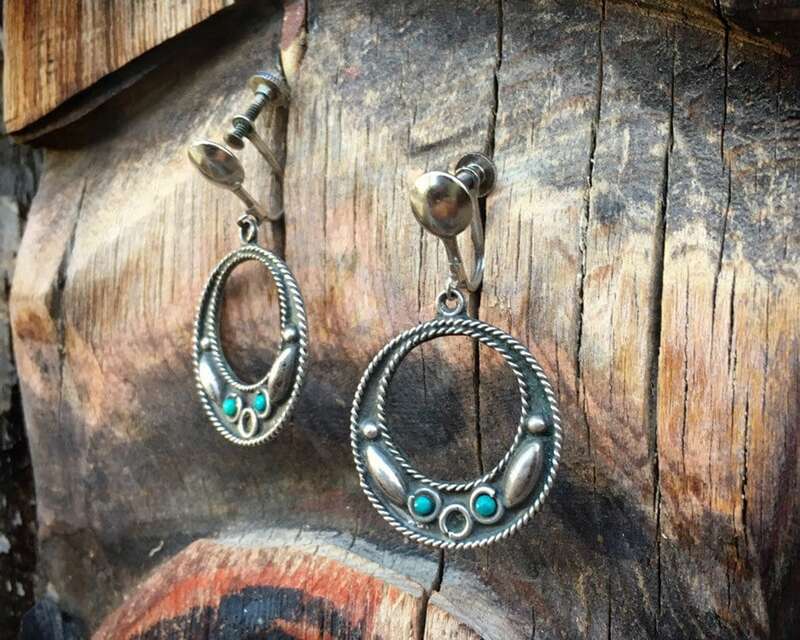 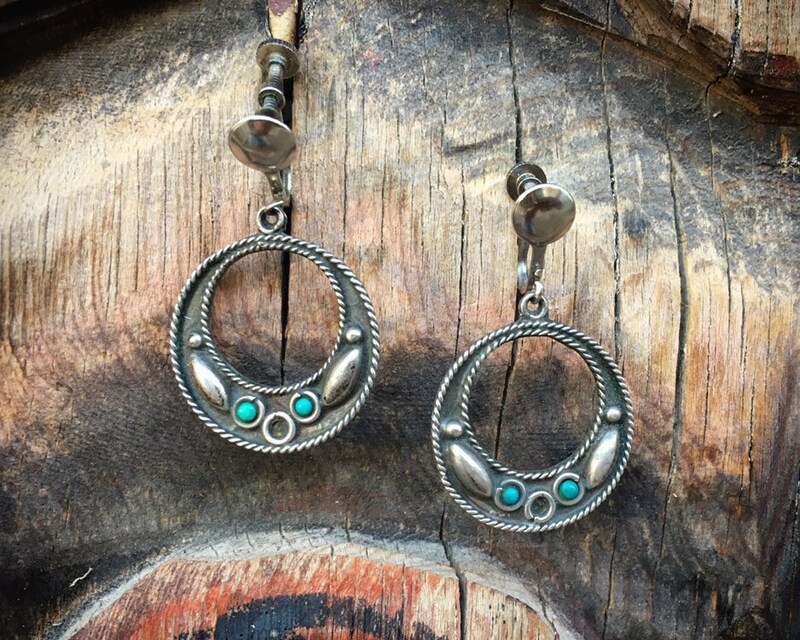 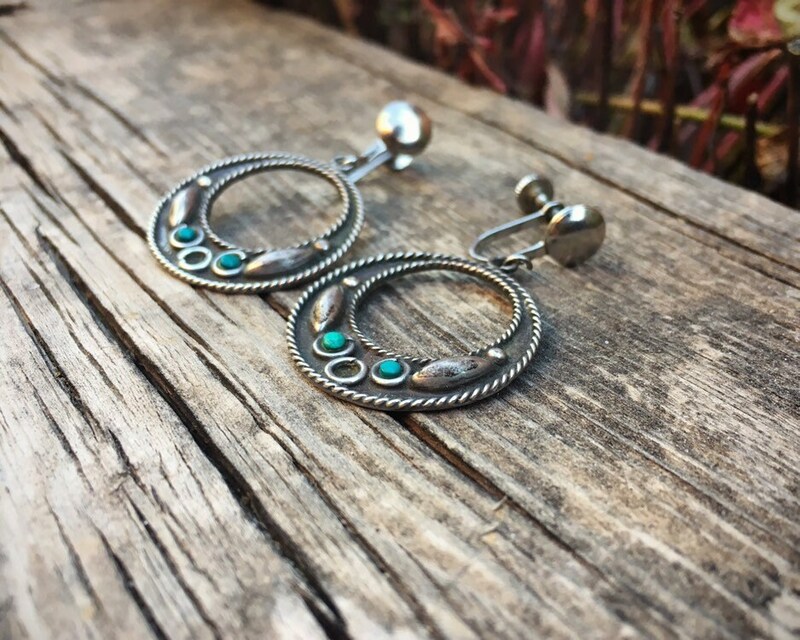 These simple silver earrings are beautiful, a dangling circle, sterling silver with small dots of turquoise. 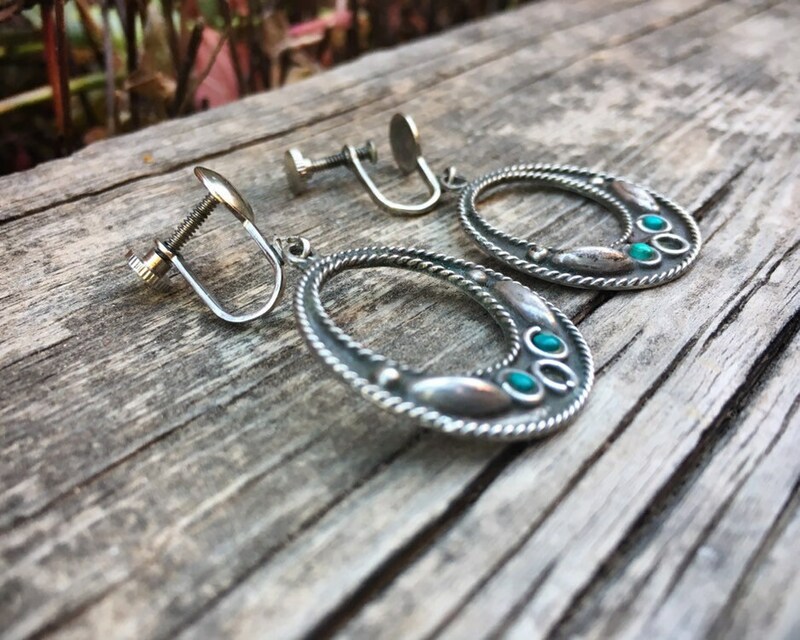 Circa 1950s to 1960s, carry a faint sterling silver and Mexico mark, rubbed off by wear and age. 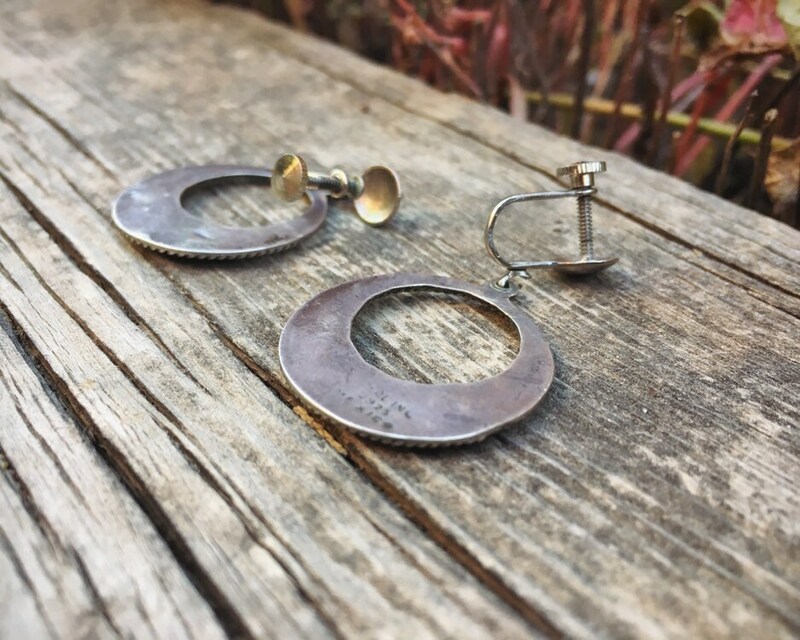 I am happy to replace the screw backs with sterling silver French hooks, although be aware that the nice silver "ball" that is part of the screw back design will no longer be there if we do that modification. 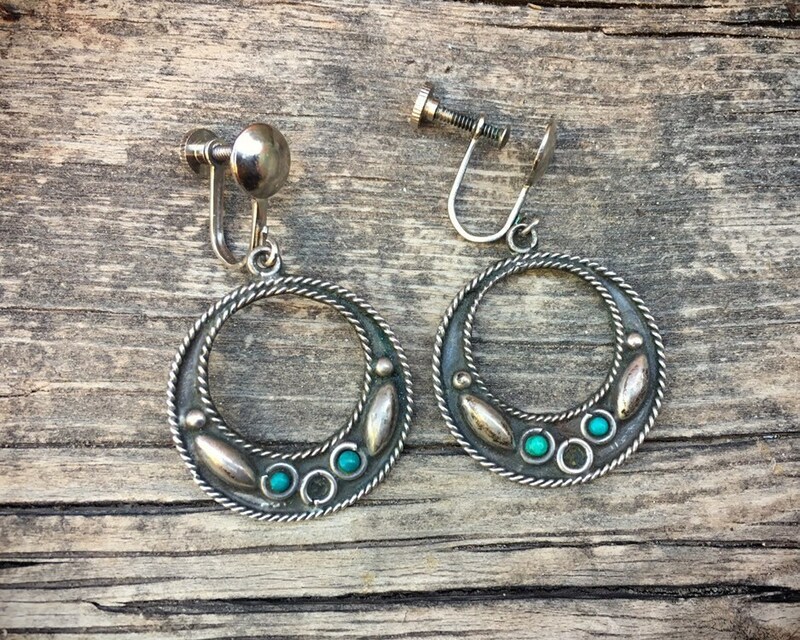 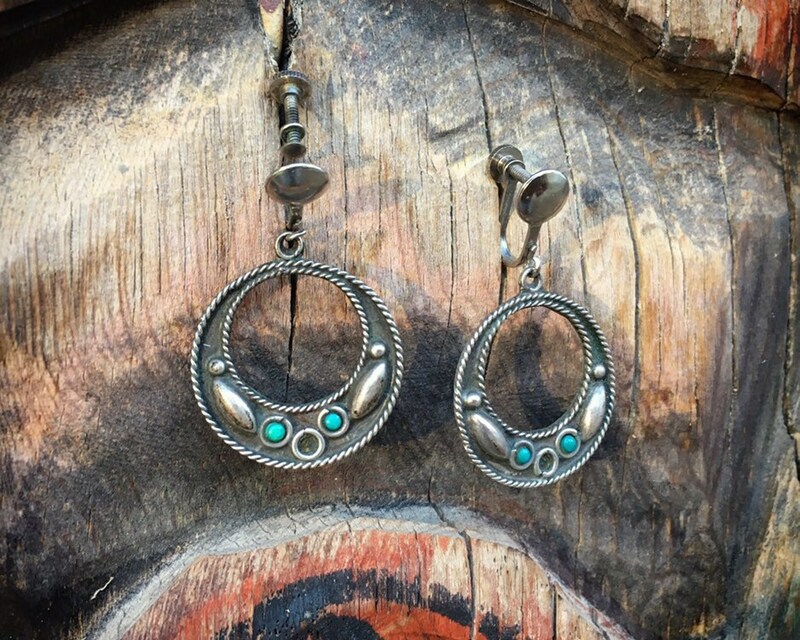 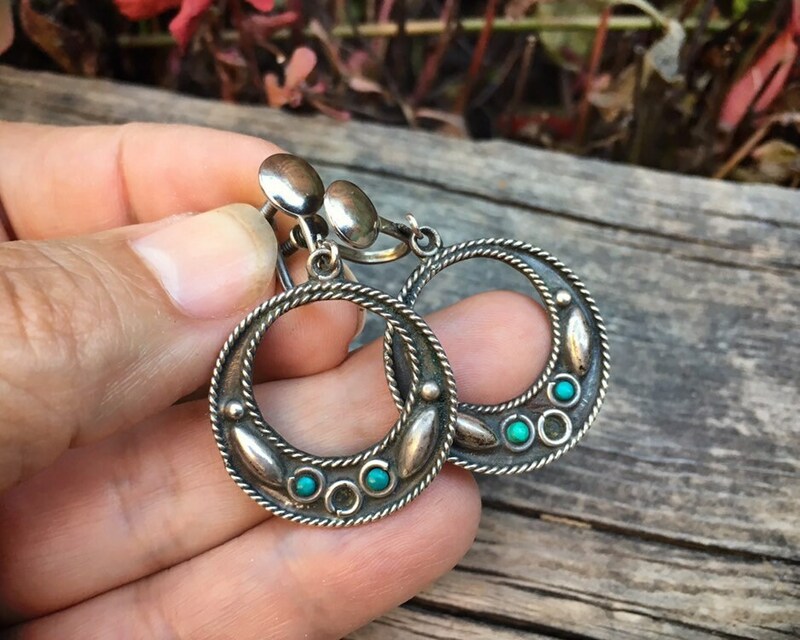 The earrings measure about 1" in diameter not including the eye hook, with a drop length of just under 2". 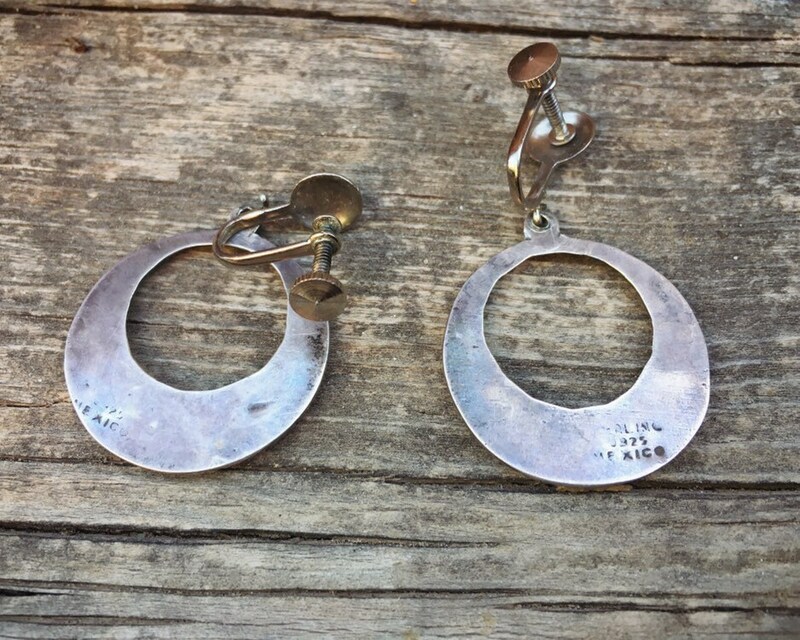 The silver has small scratches on the back but otherwise in good vintage condition.